Is it the end of the road for Great Wall in the UK? The long term future of Great Wall has been cast into serious doubt after its importer said it had no future plans to sell Steed pick-ups in the UK. 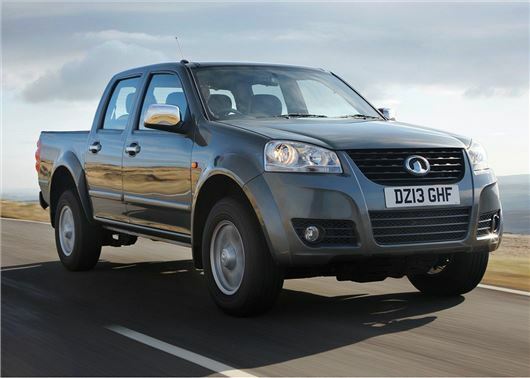 Great Wall was one of the first major Chinese car brands in the UK when it launched the Steed pick-up in 2012. However, while the Steed received mixed reviews for its basic interior and poor refinement, it won over a section of the pick-up market with its low prices and comprehensive six-year-warranty. International Motors Group (IM Group), which controls Great Wall in the UK, told Honest John Vans that it stopped imports “some time ago”. According to financial filings with Companies House, Great Wall generated a loss of £158,485 in 2017, with the firm experiencing vehicle supply issues; primarily surround the manufacturers’ ability to meet European compliant standards. Will Great Wall honour its six-year-warranty? There are now serious question marks over Great Wall's warranty, with a spokesperson for IM Group telling Honest John Vans that dealer numbers were “dwindling”. According to the manufacturer's website for the UK, warranty repairs (parts and labour) will be made at no charge to the owner, but only officially appointed Great Wall dealers can make repairs and adjustments under the warranty. IM Group was unable to tell Honest John Vans how many Great Wall dealers remain in the UK. It also refused to say how owners could have warranty work carried out, if their local dealer had closed or become disenfranchised.